BRAIN DRAIN GOT YOU DOWN? 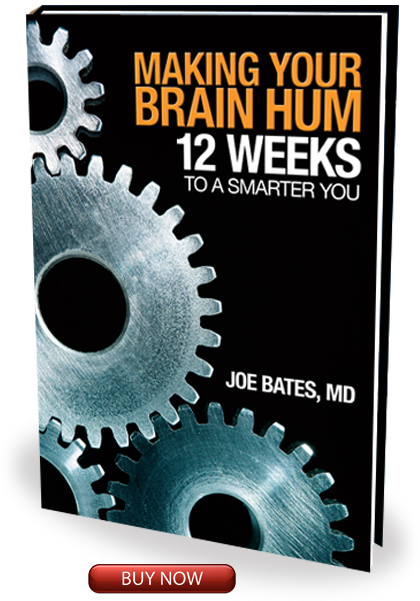 Give Yourself a Mental Tune-Up with This Book! When it comes to personal fitness, two popular sayings make the rounds: "No pain, no gain" and "Use it or lose it." In Making Your Brain Hum, we dispense with the former axiom-Why make it hurt if we don't have to?-and stick with the latter adage. This is about using our brain and keeping our mental gears well oiled long after others have called it quits and ditched their thinking caps. Years ago, medical students were taught that once brain cells died, they stayed dead. Medical science in those dark days dished out the claim that cognitive corrosion after age fifty was inevitable. The good news? All that mental-decline stuff from fifty years ago was bunk! The deadheads didn't know what they were talking about. New research shows the human brain to be more pliable and regenerative than ever imagined. Learning should be endless: it's just a (gray) matter of consistently exercising your brain as you get older, periodically challenging it-just like we do with our hearts, minds, and bodies while walking, jogging, or bicycling-in order to keep our brain functioning at peak capacity. Making Your Brain Hum takes you through a steady dose of puzzles and brain teasers designed to give your brain a healthy workout. These brainy drills will enhance your mental agility and endurance, adding years to your cognitive life while generating loads of fun in the process.